Nettops occupy a curious niche: small enough to be carried around in bag or briefcase, they nonetheless require an external display and inputs to be useful. So far, the best use anyone has come up with for them has been as media players, attached to a large LCD or Plasma TV. Unfortunately, the low power CPUs in these devices has prevented them from being truly useful in this role. 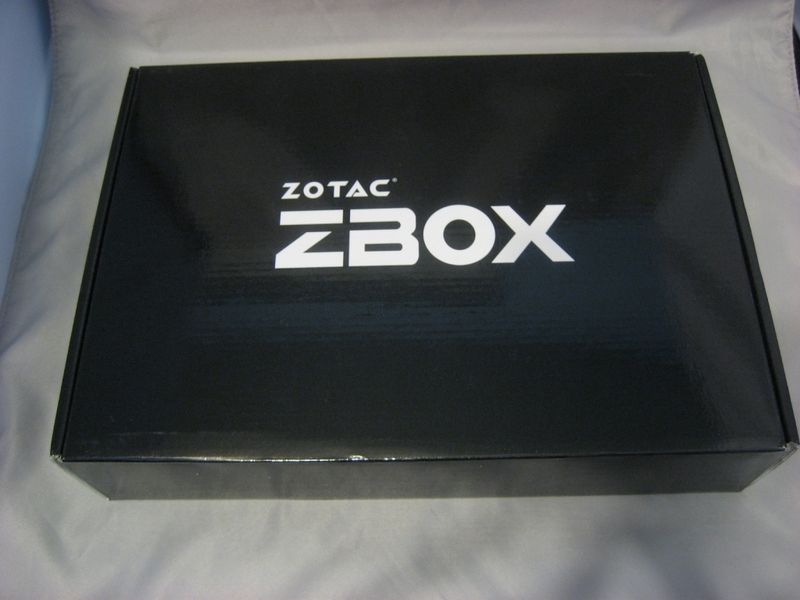 Zotac looks to change that with their latest offering, the ZBOX-AD02-PLUS. Powered by an AMD E-350 Zacate APU, this compact device promises smooth 1080p video playback and competent day-to-day performance on productivity tasks. 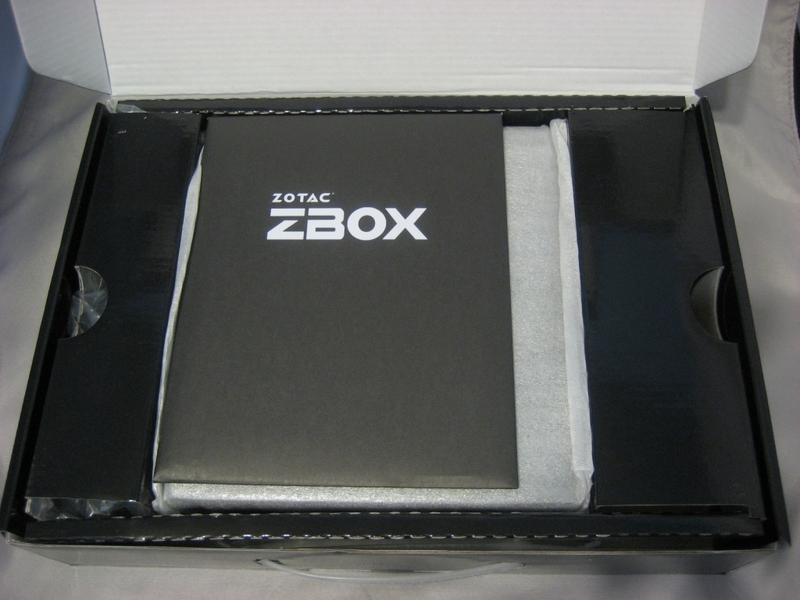 Let’s see how well this little box stacks up. So far, so minimalist. 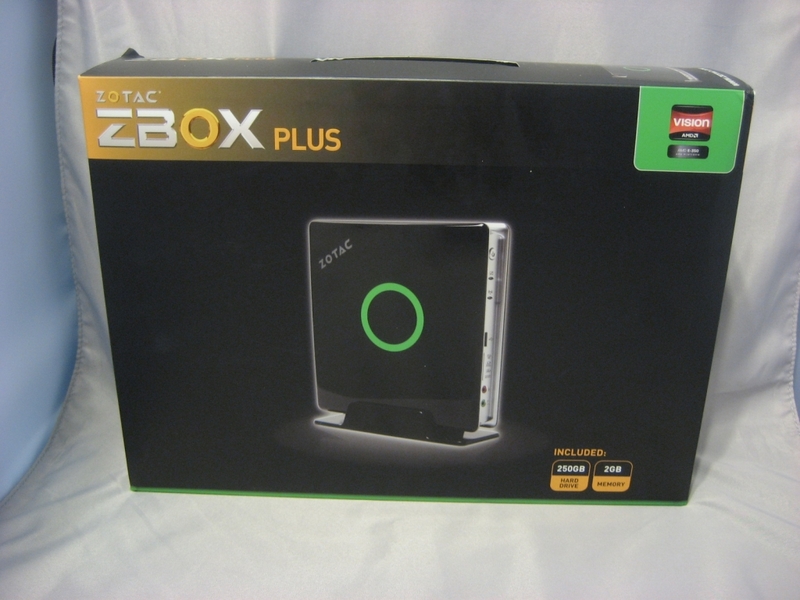 Aside from the AMD Vision logo, the box is surprisingly devoid of badges. On the back, we get shots of the front and rear of the unit, pointing out all the ports and indicators. The note “actual size” is no exaggeration, this unit really is tiny. …which opens up to reveal the manual and driver envelope, as well as the unit itself, wrapped in a thin layer of foam padding. 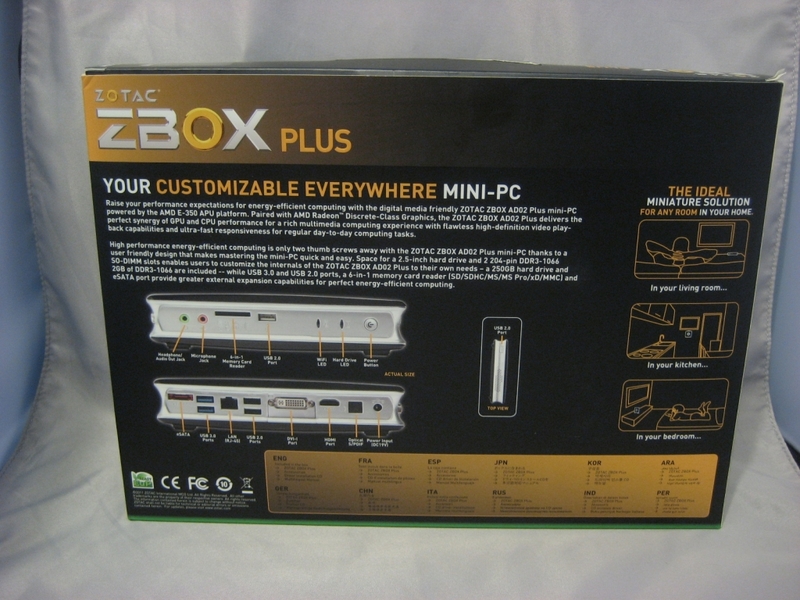 Inside, we find the unit itself, its AC adapter, a stand for desktop use, a VESA mount with screws, and a DVI to VGA adapter dongle. 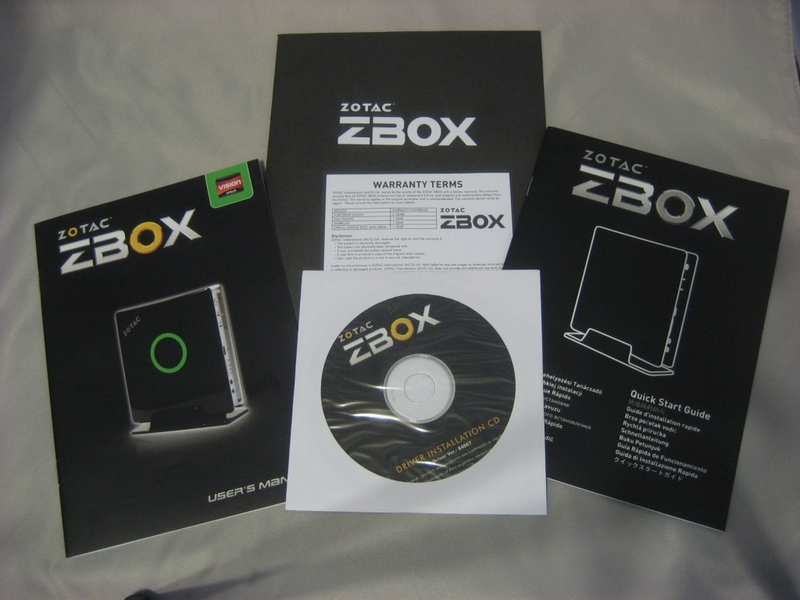 Inside the envelope is the usual assortment of manual, quick start guide, warranty card and driver CD. 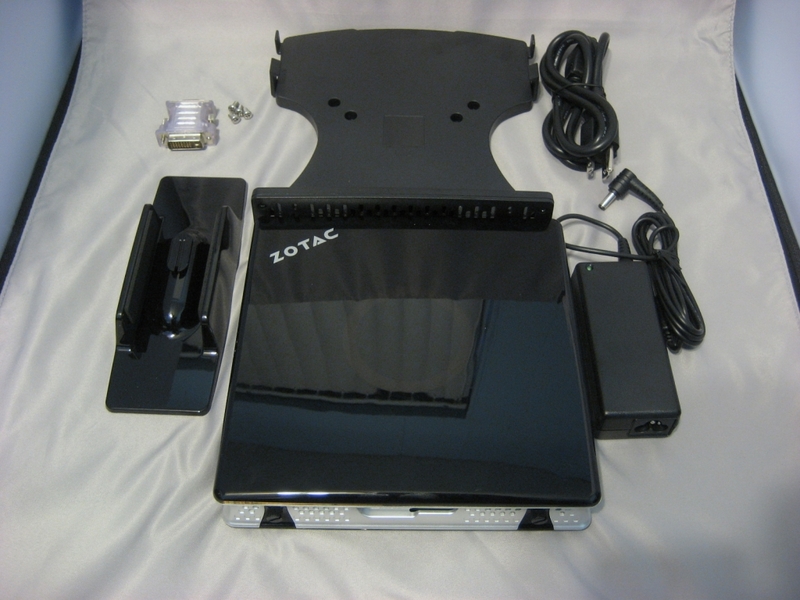 Note that this unit has no internal optical drive, Zotac assumes you’ll have an external USB 2.0 drive for the OS installation process.